Taste test: These were OK corn chips. 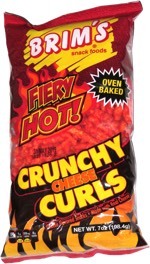 They weren't as crisp as Fritos usually are, but they had a good crunch, and barbecue flavor was mild and tasty, and it left behind a mildly hot aftertaste. 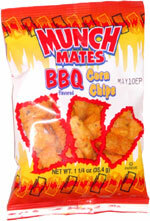 Smell test: A little different from regular corn chips like Fritos, but not really a barbecue smell.